PAC International, a Metro Aviation company, will display the Cleveland Metro Life Flight Airbus EC145 at the Helicopter Association International HELI-EXPO February 26 – March 1 in Las Vegas, Nevada. The aircraft was originally completed by Metro Aviation, but recently underwent a routine refurbishment and upgrade at PAC’s completion center in Mount Pleasant, Pennsylvania. The aircraft interior components were completely refurbished to include reconditioning of the Metro EMS interior, upgraded TDFM9100 FM communication system and dual Garmin GTX330ES ADS-B certification. Other customizations included new exterior and interior paint, new windows, upgraded air conditioning system and an upgraded monitor mount to the Zoll-X series. The Outerlink IRIS flight tracking, monitoring and communication system was also installed on the EC145, giving the team an additional layer of oversight and safety. 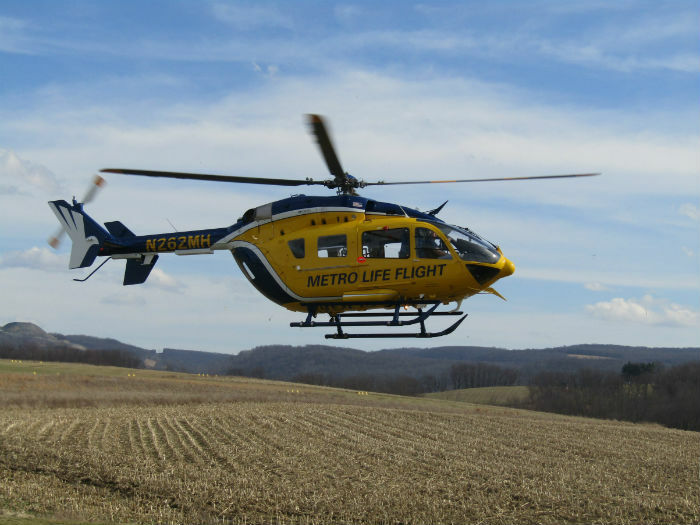 Cleveland Metro Life Flight, an internationally recognized critical care air medical transport program, has been part of the Metro family since 2009 and was the first air medical program in its area. Life Flight operates three aircraft with an advanced medical crew consisting of flight nurses, advanced certified nurse practitioners and physicians. Life Flight celebrates 35 years of service this year. PAC International’s capabilities include helicopter completion and customizations for Bell, Airbus, Leonardo, Sikorsky, and MD Helicopters. They have established a reputation for providing state-of-the-art services in helicopter painting, custom interior fabrication, and avionics installations, and have a long history of providing customized medical interiors to meet the mission specific profile of their customers.